A couple of years ago I received the Music for Little Learners Kit #1 and had the opportunity to review it with my kids. Are you a piano or elementary music teacher? 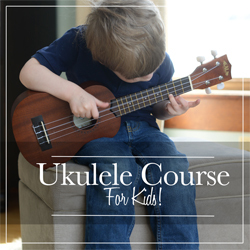 Or maybe you’d like to teach music to your own kids or at a homeschool co-op? I think you’ll really enjoy the Music for Little Learners Kit #1 (and all the other resources they have in the New Song Music Studios Shop. My 5-year-old daughter had been wanting to start playing the piano for quite a while now. This kit was so fun to use with her during the summer to get her prepared for private lessons. The kids will learn about the staff and basic music notation with the staff cards and foam pieces in the box. Here is a lesson on numbering the lines and spaces. The kids practice with the staff cards and number tiles. Then they can play different types of games to practice it (speed drills!). Here they built the grand staff with the staff cards, but it also works well with the blue mats. My daughter really loved making the caterpillars, which helps them to recognize how the notes ascend up the staff in a scale, and that they repeat. See one way to do them at the top picture of this post. Below is another way we did it–to build 3 C Major scales. Included in the box were little googly eyes that you can glue to the head of the caterpillar. Then, of course, there is lots of actual piano playing. The cards and gloves really help the young kids be successful at playing songs and scales. See how the gloves can be labeled? You can use the numbers for finger numbers or the notes, changing them around or removing them depending on what the particular song needs. My daughter absolutely loved using the gloves. She would go grab them out of the box with the song cards and play all by herself! We still need lots of practice with the scales, but that will come. 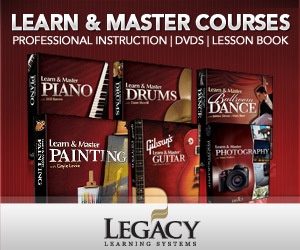 Visit newsongmusicstudios.com for more ways to make learning music FUN! Previous Post: « Sale on Notebooking Pages!